The Yashica-Mat 124G is a groovy camera. 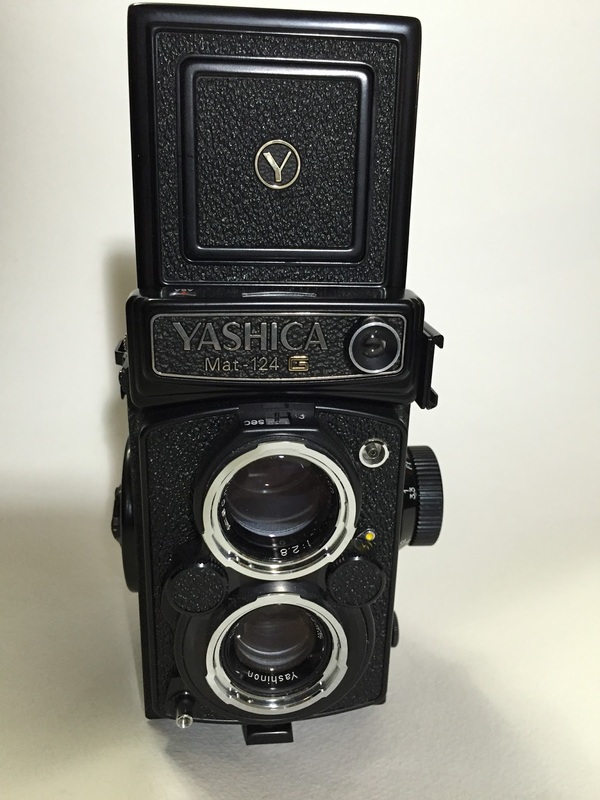 A classic TLR medium format camera. I took it out during a recent photowalk. 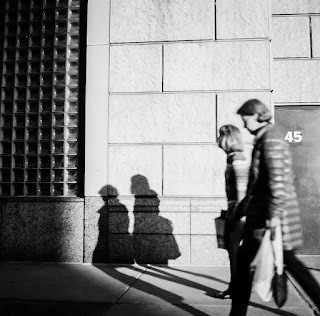 My photowalk companion was using a digital Fujifilm X100s. I decided however to go old-schoolie film. Loaded with Ilford XP2-400 120 styled film. This camera is super simple to use. I basically just parked myself between 2 parked cars with the sun to my back. I snapped a few shots while people walked into my field of view. Here is a shot where I focused on the wrong place or had the aperture to shallow. 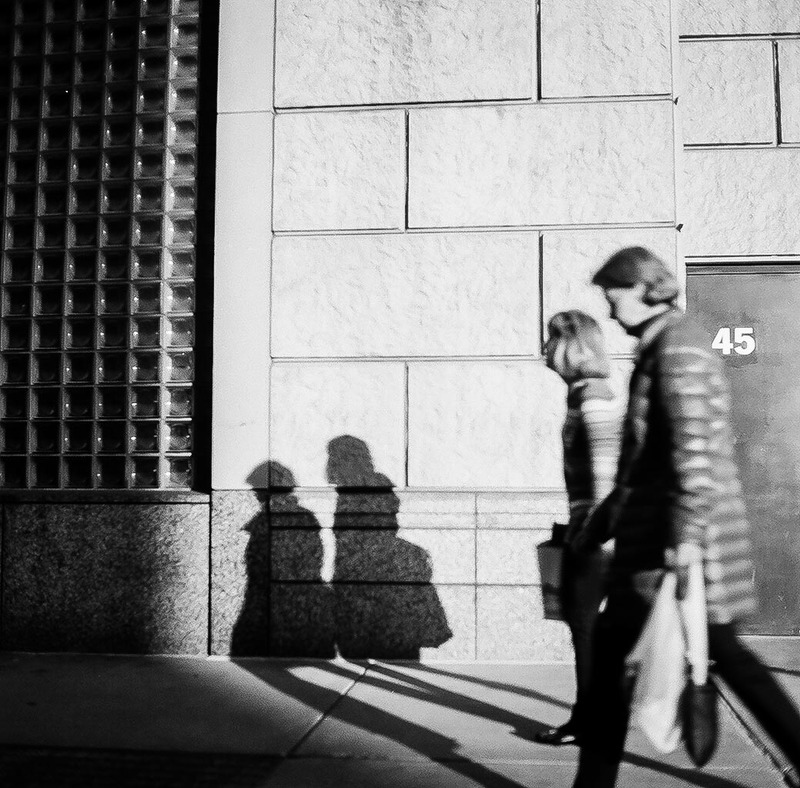 The shadows are tack sharp, but the subjects are a bit out of focus. I'm going to take the camera out again shoot a couple more rolls.